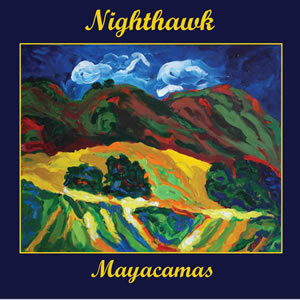 Nighthawk’s Mayacamas CD (RMR 107) is his sixth and latest release on Red Mountain Records. He has composed fifteen new songs for solo piano, reflecting the depth and beauty of the Northern California Mayacamas wine country landscape that serve as a deep reservoir of inspiration. These piano meditations take the listener on a special journey through these tonal landscapes and reveal the nuances of shadow and light along the way. For years Frederick Nighthawk has kept a busy performance schedule, playing over 300 solo and band dates a year in the San Francisco Bay Area, and the Northern California region. He has been a featured performer (1999-2002) at the “New Orleans By The Bay” festival held each June at The Shoreline Amphitheatre in Mountain View,CA and has played international summer festival dates on the French Riviera. Nighthawk was a featured artist in Domaine Chandon’s 2003 spring and summer concert series in the Napa Valley, the 2005 “Blues and Jazz on the Plazz” summer concert series in Petaluma, CA, and also a guest artist in solo performances at the historic Napa Valley Opera House, and opened the 2005 show for Little Feat at the Jackson Theatre in Santa Rosa, CA. Recently he was honored to join a stellar list of great pianists performing at the 2005 and 2006 San Francisco Boogie Woogie Summits. Frederick Nighthawk has had one of the longest running blues shows on the West Coast. Along with pianist Caroline Dahl, he has been performing weekly at Mama’s Royal Cafe in Mill Valley,CA for over twenty years, keeping alive the flame of the barrelhouse, blues, and boogie piano. Since February of 2006 , Nighthawk has been the full time house pianist at the Villagio Inn and Spa in Yountville, California, delighting audiences with his eclectic mix of the American songbook, New Orleans R&B, and his beautiful haunting solo piano pieces like those found on his Mayacamas CD.